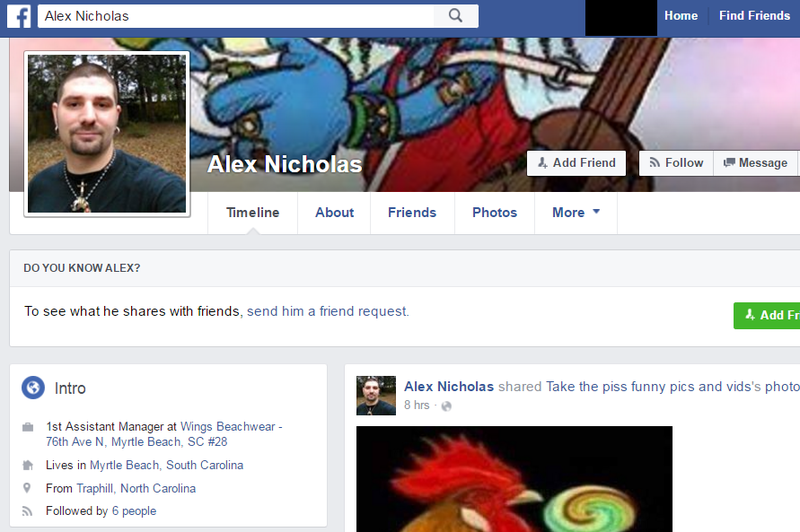 Alex Nicholas, Myrtle Beach, SC, and 1st Assistant Manager at Wings Beachwear – 76th Ave N, Myrtle Beach, SC #28 sends hateful messages to the father of a pit bull attack victim. Stop by Alex’s Facebook profile and let him know how you feel about this. This entry was posted in hate mail and tagged 1st Assistant Manager at Wings Beachwear, Alex Nicholas, Myrtle Beach, SC, South Carolina. Bookmark the permalink.